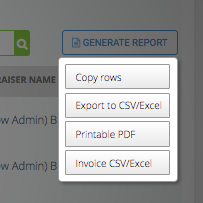 The Payroll section of Anow Analytics has gotten an upgrade! Now you can see a “master” payroll report, as well as view payroll on a per-appraiser basis (the exact same way as Payroll was before). *Having access to Payroll and Analytics will depend on the role and permissions that you’ve been assigned to by your Admin team. In Analytics under the Payroll header you will now find two sections: All and Appraiser. The All section is a compilation of all fee lines that you have assigned to one of your users, within the given date range and filters selected. Here you can generate a "master" report that includes the total amount owing and paid, based on the chosen filters, to all of your appraisers/users combined. 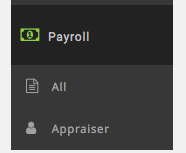 The Appraiser section looks and works exactly the same as Payroll did before we made this update. This area of Analytics is where you can see the Payroll report for each individual user and generate invoices for those users. If you aren't seeing the Appraiser option under Payroll, please follow the steps outlined below. First, logout of Anow and then clear your internet cache. Once cleared, please close your browser and log into Anow once again. Click on the menu button situation in the upper right corner. Check the boxes next to Cookies and Saved Website Data, and Cached Data and Files. Click Safari in the upper left side of your screen. A window will now show. Navigate to the Privacy tab. Click Remove Now in the pop up that appears. Check off Cookies and Site Data. With Cached Web Content marked off, click the Clear button.